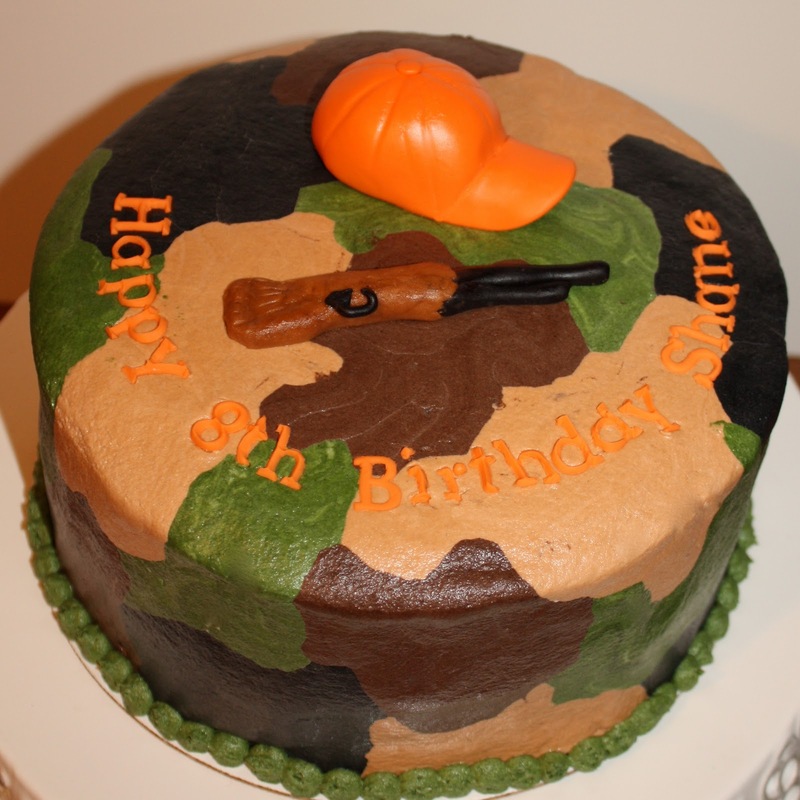 I had a request to make the camouflage cake I made this past summer, so I did with a few small changes. This cake is yellow cake with buttercream and chocolate buttercream frosting. Happy 8th Birthday Shane!